Jim passed away Wednesday, September 5, 2018 at his home in Otsego. He was born March 2, 1942 in Otsego the son of Lewis and Ruth (Robinson) Folk. Jim proudly served his country in the US Air Force. Through the years he had worked for a silo company, Menasha and Walmart. With the help of his family Jim had also demolished several buildings in the local area. He loved to travel and also enjoyed following NASCAR, watching old western movies, going for evening rides looking for deer and spending time with his family and friends. On February 16, 1962 in Otsego he married the love of his life Wanda Mott who passed away in 2003. Together they opened their hearts and home to 21 foster children over the years. Jim was a very giving person and was always willing to help anyone in need. Surviving are his children, David (Terri) Folk, Diane (Dean) Jones and Kevin (Doreen) Folk, 7 grandchildren, Tony, Kris, Pat, Tom, Mike, Jeff and Lauren; 7 great-grandchildren; 1 great-great-grandchild; brothers, Alan (Ethel) Folk and William (Carol) Folk; sister, Gloria Chency; sisters-in-law, Millie Folk and Bonnie (Duane) Ketchum; brothers-in-law, Karl (Linda) Mott and Lyle Selby; many nieces and nephews and close friends who were like family, Nate and Linda Vance and children, Nicholas and Emily. He was preceded in death by his parents; wife; infant daughter, Linda; brothers, Robert, Norman and Sam and step-father, Ernest Licht. Private family burial of ashes will take place at Alamo Center Cemetery. Contributions in memory of Jim may be made to the charity of your choice. Sorry to hear of the passing of your father. God looked down and saw him suffering so he put his arms around him and said come with me, you will no longer be suffering. Jim is in a better place now. May he RIP. So sorry to hear about your dad and grandfather Diane and Patrick. You are all in my thoughts and prayers. If he was anything like the two of you then I am sure that he will be missed greatly! We are so sorry for your loss ,he was such a good friend to us. the neighborhood will never be the same. Please accept my condolences for the loss of your Father. 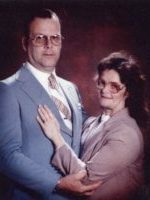 I grew up with & went to school with Jim & Your Mom, Wanda. Now they are together again with our good Lord God. Dave, Diane, and Kevin; I’m so sorry you’ve lost your dad but, the memories you share will bring your mom and dad so close you will almost hear them. I love you all. So very sorry for the loss of your father. I don’t think that he was ever quite the same happy go lucky man after losing your mom. May he Rest In Peace and enjoy his reunion with his loved ones in Heaven. I am so sorry for your family’s loss. Please know that you are all in my thoughts and prayers during this time. Always a great day when I would run into Jim, and I never knew where that would be. He seemed to know everyone, or so it seemed. He always had a great story or new joke to share along with that big smile. Rest In Peace, you will be missed by many. Will miss talking to Jim. Always a fun story to tell. My thoughts, prayers and hugs are with you all!. We were saddened to learn of Jim’s passing. Sincere heartfelt thoughts and prayers are with the Folk family. Our thoughts are with all of Jim’s family. He was a fun guy and will be missed by so many. Please know that we are thinking of you all and sending our most sincere sympathy to you.